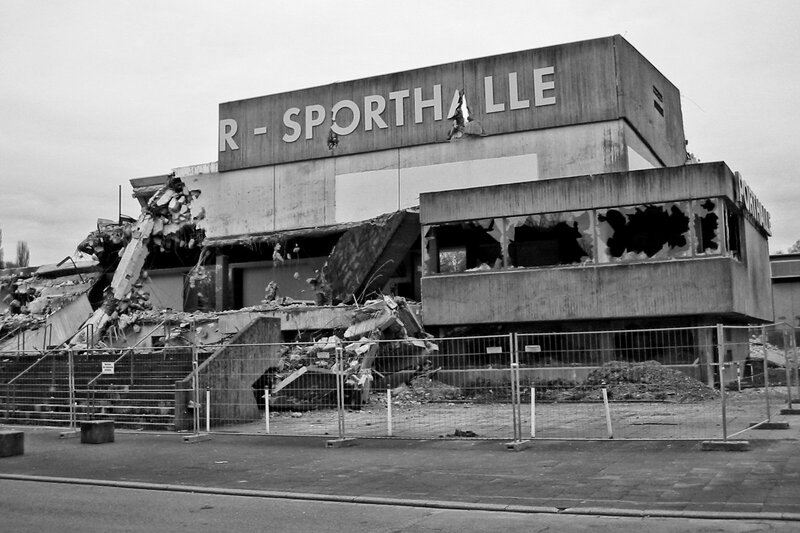 About a week later back in 2003, even more of the old sports hall had been demolished. I’m not sure how big it was exactly, but it was somewhat smaller than the new hall, which has a size of a whopping 70×75 meters. The ruins seemed to be even bigger when you stood right next to them!